What to give your teacher? I hope everyone had a Merry Christmas and Happy Hannukah, I sure did! At the beginning of December my studio had recitals, and I was able to have a recital that consisted of mostly my students. It has been very nice working on Christmas and other holiday music with the students, because they usually have a lot of fun learning them and I enjoy the music too! A lot of my students gave me some nice gifts too; I got candy, a candle, several gift cards, and many sweet notes of thanks. These were all wonderful things. I would like to suggest some gifts to give teachers, as well as some gifts NOT to give teachers. Gift cards are great for teachers in general. Most teachers would enjoy gift cards to nice restaurants, book stores, craft and teacher-supply stores, music stores (for music teachers), and the ever-popular Starbucks. I received gift cards to Chili’s restaurant, Barnes and Noble, iTunes, Starbucks, and Target. All great gifts for me. An older girl wrote a nice thank-you note and gave me a two smaller gift cards to iTunes and Starbucks, which was a great combination gift. Less-good ideas: Trinkets and things that are not easily stored or cause extra clutter are usually appreciated, but not always kept. Know your teacher! Teachers appreciate it when you remember something that they like, but then again, who doesn’t? I received a bookstore card from a student who knew I liked to read. One of my close friends is a second-grade teacher and she loves penguins. Her students know that and have gotten her all kinds of penguin things for her classroom and to wear (earrings, etc.) That’s great for her because she has a classroom. I gave her a penguin hand-sanitizer holder to go on her purse! I like birds, and books, Lord of the Rings etc. but if all my students gave me random weird bird stuff I wouldn’t have much room in my apartment or my lesson studio. However, if I was given a bird Christmas ornament, wall decoration, candle-holder, or something like that, it would be just fine because I can use it and it doesn’t take up much space. Some of the gifts I have received in the past that were nice trinkets include a small music-note clock for my desk, a spicy-smelling candle with zebra-print holder (he said he wanted to get something spicy for me. Hah! 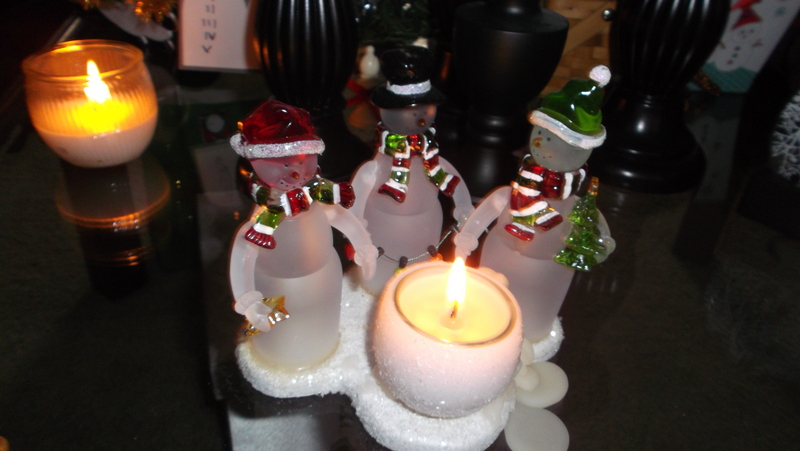 ), and a darling snowman votive candle holder. This last one came from a very sweet little boy (who may be slightly autistic), and whom I have been teaching for a few years. I hope this guide is helpful. If not, feel free to ignore it. Happy New Year! This entry was posted in Informational and tagged Chanuka, Christmas, class, classroom, eowyn, gift, gift-giving guide, give, giving, guide, Hannuka, idea, ideas, instructor, lesson, music, piano, present, teacher. Bookmark the permalink.